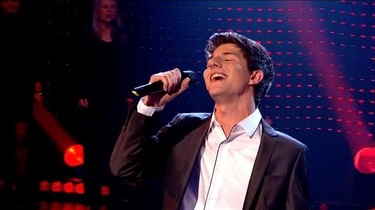 19 year-old Josh Dubovie first performed with an after-school stage club, aged just 9. He was given the part of Enjolras in the school production of Les Miserables when he was 15, but as he had never sung before he went to see a vocal coach. Josh instantly fell in love with singing swing and his coach encouraged him to put on showcases of his music. Josh believes he has his mum's voice and his dad's confidence and he currently performs professionally, at charity evenings, festivals and sports events. Immediately after winning, Josh said: "I'm so so happy, I really can't believe it - is this real? I never believed I'd come this far." About Pete Waterman and Mike Stock's song, "The minute I heard the song I thought it was a definite winner, I'm so happy I'm going to sing it in Oslo," said Josh. Pete Waterman said: "Josh performed it well and I've got a lot of faith in the public. Now it's off to Oslo and "that sounds good to me"!" Watch Josh's performance here. 19-летний Джош Дубови впервые выступил на сцене в возрасте 9 лет в школьном сценическом клубе. В 15 лет он получил роль Enjolras в школьной постановке Les Miserables, несмотря на то, что до того никогда не занимался вокалом профессионально. С того момента Джошу полюбилось выступать и его новый педагог воодушевил его посвятить себя музыке. Джош считает, что в нем сочетаются голос его матери и уверенность его отца. В настоящее время он профессионально выступает на благотворительных мероприятиях, фестивалях и спортивных событиях. Немедленно после победы Джош заявил: "Я так рад, я просто не могу в это поверить. Я никогда не думал, что смогу зайти так далеко". О песне Пита Уотермана и Майка Стока Джош говорит: "В тот самый момент, когда я услышал песню, я подумал, что она может принести победу. Я буду счастлив исполнить ее на сцене в Осло". Выступление Джоша можно увидеть здесь. How do I begin to imagine? So I wonder who can I turn to? Wishes and dreams come true? Alexis (20), Miss Fitz (Gemma, Maiken and Marina), Josh (19), Karen (18), UNI5 (Amy, Sam, Dani, Daniella and Lee) and Esma (17). Specially selected panel will be consisting of songwriter and producer of British entry Pete Waterman, last year's entrant Jade Ewen and different shows judge Bruno Tonioli. After live performances from the six acts, and feedback from the panel, Pete will choose three acts to debut the Eurovision song. The winner will be decided by a public vote. Alexis (20), Miss Fitz (Gemma, Maiken and Marina), Josh (19), Karen (18), UNI5 (Amy, Sam, Dani, Daniella and Lee) и Esma (17). В жюри отбора войдут автор и продюсер британской песни Пит Уотерман, представительница страны на конкурсе прошлого года Джейд Юэн, а также судья различных телеконкурсов Брюно Тониоли. После выступления 6 кандидатов, и выслушивания мнения жюри, Пит выберет трех из них, которые выйдут в следующий раунд отбора и исполнят его песню для Евровидения. Победитель будет выбран голосованием телезрителей. 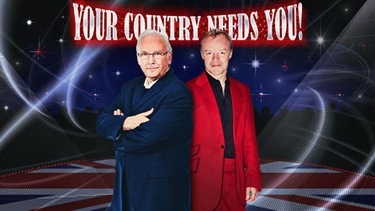 19/02 BBC has finally confirmed the return of "Eurovision – Your Country Needs You", with host Graham Norton, as a preselection method to choose British entry in the Eurovision Song Contest 2010. Six acts will be competing in the show, first singing live in the studio before a specially selected panel, before being whittled down to the final three. These three acts will then perform their own version of Pete Waterman's creation before the voting lines open and the public decide who will become British representative in the show. Some rumoured names of performers include: Sam Taylor, Miss Fitz, Josh Dubovie, Dolie Mix, Alexis Gerred selected by Jayne Collins casting agency. However, none of the names have been confirmed by BBC. As earlier announced, Sugababes and Alexander Rybak will be guests of the show. 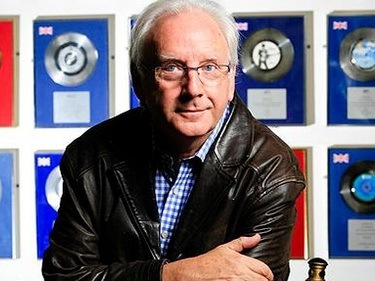 You can also read the interview with Pete Waterman here. Mike Stock of Stock Aitken Waterman has been confirmed as the co-writer of British entry. Link to Stock's discography is here. Upd: Tickets for March 12th show can be booked here. BBC наконец подтвердило возвращение программы "Евровидение - Ваша страна нуждается в вас" с ведущим Грэмом Нортоном, в качестве национального отбора Великобритании на Евровидение 2010. 6 исполнителей примут участие в шоу, сначала они выступят вживую в студии перед составом жюри, которое сократит их число до 3х финалистов. Эти оставшиеся три исполнителя презентуют каждый собственную версию песни Пита Уотермана. Телезрители определят лучшую комбинацию и представителя Великобритании в Осло. Среди некоторых имен финалистов, отобранных кастинговой компанией Jayne Collins, по слухам Sam Taylor, Miss Fitz, Josh Dubovie, Dolie Mix, Alexis Gerred. Однако, BBC пока не подтвердило официально ни одного из имен. Как ранее сообщалось, Sugababes и Александр Рыбак выступят на нем в качестве гостей. Вы также можете прочитать интервью с Питом Уотерманом здесь. Майк Сток из Stock Aitken Waterman станет со-автором песни Великобритании на конкурсе. Ссылка на дискографию Стока - здесь. Билеты на шоу, которое состоится 12го марта можно заказать здесь. 10/02 One more confirmation for the March 12th being the date of British national final has arrived as Sugababes, with their new member, last year Eurovision entrant Jade Ewen, have been confirmed to perform at the Your Country Needs You show on March 12, reports Digital Spy. The trio will perform their new single 'Wear My Kiss' on the live show just before the new representative of UK is announced. 'Wear My Kiss' is released on February 22. New album Sweet 7 follows on March 8. BBC has not yet published any official information about YCNY format and dates. Еще одно подтверждение того, что британский финал пройдет 12го марта, Sugababes, включая их новую участницу, конкурсантку Евровидения прошлого года Джейд Юэн, выступят в шоу Your Country Needs You 12го марта, сообщает Digital Spy. Трио исполнит свой новый сингл "Wear My Kiss" перед объявлением нового представителя Великобритании на Евровидении. "Wear My Kiss" выйдет в продажу 22го февраля. Новый альбом Sweet 7 последует 8го марта. BBC пока не опубликовало какой-либо информации о формате и датах шоу YCNY. 09/02 United Kingdom to select it's artist on March 12th? Winner of Eurovision 2009 Alexander Rybak has announced that he will be guest of the British national preselection final which will take place on March 12th in London. 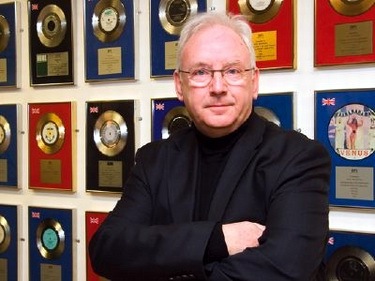 BBC is yet to make any official announcement of the preselection format and dates, despite Pete Waterman has been confirmed as the songwriter of British entry. Великобритания отберет своего представителя на Евровидение 2010 12го марта? Победитель Евровидения 2009 Александр Рыбак объявил о том, что он станет гостем национального британского отбора, который состоится 12го марта в Лондоне. BBC пока не сделало официального объявления по поводу формата и дат отбора, однако, известно, что Пит Уотерман станет автором британской песни. 29/01 Pete Waterman is to write this year's British Eurovision Song Contest entry. Waterman, 63 - part of Eighties producers Stock, Aitken and Waterman has been behind 200 hits over 25 years. He helped make Kylie Minogue and Rick Astley pop sensations. To date, Waterman has scored a total of twenty two UK number one singles with his various acts among them "Respectable" by Mel & Kim, "Never Gonna Give You Up" by Rick Astley, "I Should Be So Lucky" by Kylie Minogue, "I Have A Dream" by Westlife, "Venus" by Bananarama and others (for the detailed list see here). He claims upwards of 500 million sales worldwide (inclusive of singles, albums, compilation inclusions, downloads, etc). One of the first Stock Aitken Waterman collaborations was the Cyprus entry for the Eurovision Song Contest in May 1984 where Greek singer Andy Paul performed the SAW song "Anna Maria Lena" finishing 15th. UK 2006 Eurovision entry, "Teenage Life" has been released by EBUL, which is a record label belonging to Pete Waterman Ltd ( PWL) and Jive/Zomba, which is mostly known for Pete Waterman produced band, Steps. PWL was also behind remixing British Eurovision 2001 entry, "No Dream Impossible" by Lindsay D.
Waterman has appeared as a judge on both series of Pop Idol in the UK (2001/2 and 2003), and also Popstars: The Rivals (2002). The latter saw him become manager of the winning boy band One True Voice. Waterman returned as judge for the second series of Pop Idol, but was constantly critical of the eventual winner, Michelle McManus and has since said he will not appear on any similar programmes in future, also on several occasions attacking more recent talent shows. 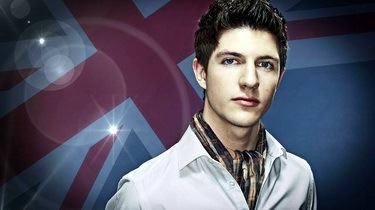 In late 2008 Waterman joined his fellow ex-Pop Idol judges Neil Fox and Nicki Chapman on Peter Kay's spoof talent show Britain's Got The Pop Factor... And Possibly A New Celebrity Jesus Christ Soapstar Superstar Strictly On Ice, a fully-scripted fictional spoof on the talent show genre. Pete Waterman said: "Eurovision is one of those iconic competitions that has stood the test of time and keeps coming up with great acts, great tunes and great performances. Life's full of challenges and I'm relishing the opportunity to put my own stamp on this one." Executive Producer Phil Parsons said: "This year, with an extremely successful pop writer, the aim is to build on the UK's success while moving on in style and doing something different. Pete Waterman has an incredible track record of hits that are known all around Europe so we're thrilled that he has taken on Eurovision." Details for the selection process for the act that will perform the song will be announced at a later date. Пит Уотерман станет автором песни, которая представит Великобританию на конкурсе Евровидение 2010. 63-х летний Уотерман, один из представителей известной продюсерской группы 80х Stock, Aitken and Waterman является продюсером и автором более 200 хитов за 25 лет. Именно он стоял в начале восхождения на Музыкальный Олимп таких исполнителей как Кайли Миноуг и Рик Астли. На сегодняшний день, Уотерман является обладателем 22х топовых мест в чартах Великобритании с различными исполнителями, включая такие хиты, как "Respectable" Mel & Kim, "Never Gonna Give You Up" Рика Астли, "I Should Be So Lucky" Кайли Миноуг, "I Have A Dream" Westlife, "Venus" Bananarama и др. (более полный список можно найти здесь). На его счету около 500 миллионов проданных экземляров записей (включая синглы, альбомы, сборники и даунлоад). Одним из первых опытов сотрудничества Stock Aitken Waterman было продюсирование киприотской песни на Евровидении 1984, греческий певец Энди Пол исполнил песню "Anna Maria Lena", заняв 15е место. Песня Великобритании на Евровидении 2006 "Teenage Life" Даза Сампсона, была выпущена лейблом EBUL, принадлежащим Pete Waterman Ltd (PWL) и Jive/Zomba, который известен прежде всего выпуском записей группы Steps, которую также продюсировал Пит Уотерман. PWL также отвечало за микс песни Британии на Евровидении 2001 "No Dream Impossible" в исполнении Линдси. Уотерман также принял участие в качестве судьи в обоих выпусках шоу Pop Idol в Великобритании (2001/2 и 2003), а также в Popstars: The Rivals (2002). В последнем шоу он стал менеджером победившего бойз-бэнда One True Voice. Уотерман вновь вернулся в жюри во втором сезоне Поп Идола, но запомнился постоянной критикой его победительницы, Мишель МакМанус и с тех пор заявил о том, что больше никогда не будет принимать участие в подобных шоу, высказывая резкую критику о их новых выпусках. Уотерман присоединился к своим коллегам по Поп Идолу Нилу Фоксу и Ники Чепмен в юмористическом шоу Питера Кея Britain's Got The Pop Factor... And Possibly A New Celebrity Jesus Christ Soapstar Superstar Strictly On Ice, которое пародировало телешоу поиска талантов. Уотерман заявил: "Евровидение - это один из самых знаменитых конкурсов, который выдержал проверку временем и каждый год демонстрирует нам отличных исполнителей, отличные песни и отличные выступления. Жизнь полна вызовов, и я с удовольствием воспользуюсь возможностью наложить свою печать на этот". Исполнительный продюсер Фил Парсонс говорит: "В этом году, с помощью очень известного и успешного автора поп-песен, мы стремимся закрепить успех Великобритании, и в то же время изменить стиль и сделать что-то новое. У Пита Уотермана есть огромный опыт написания хитов, с которыми знакома вся Европа, поэтому мы счастливы тому, что он согласился принять участие в Евровидении". Детали о том, как будет проходить процесс отбора исполнителя будут объявлены позднее. According to the BBC Eurovision Twitter, the announcement about Eurovision in UK "is due in the next week or two. Still exciting though, innit?!". Already, for a couple of weeks Jayne Collins casting have been promising their members to provide an update on Eurovision search they will be starting "very soon". "We're busy making plans for Eurovision, which we're involved with once again this year. Fingers crossed we'll take 1st prize in Oslo in May! ", said Jayne Collins. According to rumours, it is expected that Eurovision preselection will take place after "So You Think You Can Dance" final, which is on February 13th. Как сообщает BBC Eurovision Twitter, объявление о формате Евровидения в Великобритании: "последует в ближайшую неделю-две. Вы же все равно с нетерпением его ждете?!". Последние пару недель Jayne Collins casting также обещали своим членам сообщить обновление о поиске кандидатов на Евровидение, который они начнут "очень скоро". "Мы работаем над планами для Евровидения, в подготовку к которому мы снова вовлечены. Надеемся, что нам удастся занять первое место в Осло в мае! ", говорит Джейн Коллинз. Согласно слухам, ожидается, что отбор на Евровидение пройдет после финала шоу "So You Think You Can Dance", которое заканчивается 13го февраля.